Lift the lid on great taste! 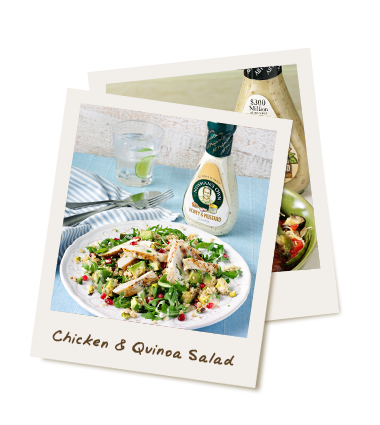 Newman’s Own is pleased to offer our range of premium dressings, sauces and marinades to customers across Ireland. Every Newman’s Own product contains high quality ingredients brought together in recipes designed to burst with flavour. And if you think that goes down easy, did you know 100% of the profits earned from Newman’s Own are given to charity by Newman’s Own Foundation? When Paul Newman founded Newman’s Own in 1982, he decided that all the profits should go to worthy causes. His vision is still our guiding principle today, and thousands of charities have benefited, and continue to benefit, worldwide. We’re glad you stopped by. Look around to get a taste of what we do and what makes us different. Along with fresh ideas for cooking with seasonal produce, you’ll find full-flavour recipes using Newman’s Own products.